If you follow us on Instagram at @getfloors, you may have seen our recent post featuring a beautiful Fiddleback floor from Preference’s Engineered Australian Hardwood collection. Available in Blackbutt and Spotted Gum, Fiddleback floors consist of strong Plywood layers that serve as the core for this stable floor. The top layer is Australian Eucalyptus which maintains the natural features of the wood such as gum veins and knots. As the Fiddleback is an engineered floor, this means that the planks are not solely made from solid hardwood and have layers of plywood in between as mentioned above. One advantage of this is that the floor is less likely to expand and contract with changes in moisture unlike hardwoods. Though the floor in its entirety is not solid timber, the top layer is which retains the natural beauty and feel of timber. All 4 sides of the plank are micro bevelled to further highlight the wood features. Fiddleback floors are highly durable with long lifespans. The Janka Hardness Rating is conducted on wood floors to see how well they can withstand wear and indentations. Blackbutt has a Janka rating of 9.1 and Spotted Gum comes in slightly higher at 11. The higher the rating, the tougher the timber. Both woods are on the higher end of the scale which means they are good for withstanding high foot traffic and are therefore great for residential areas. Both the Blackbutt and the Spotted gum are available in 3 finishes – smooth 10% matte, brushed matte and smooth semi-gloss. You can view this full range on our website by clicking here. All are pre-finished with a water-based lacquer to protect your floors for years to come. 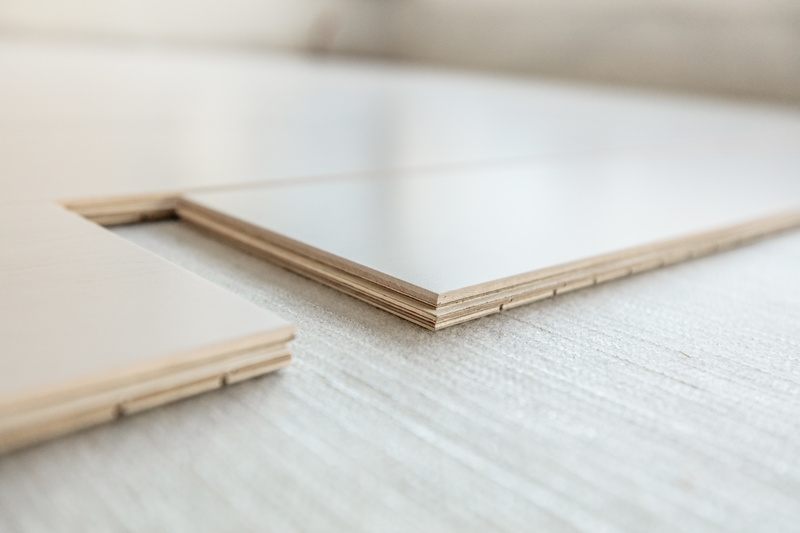 Unlike solid hardwoods which can be difficult to install yourself, these engineered planks use the click float method. This means that when you lay the planks, they easily click together with interlocking grooves. If you would like to find out more about the Preference Fiddleback range, you can contact Get Floors online or call us on 1300 823 958 where we will be happy to assist.